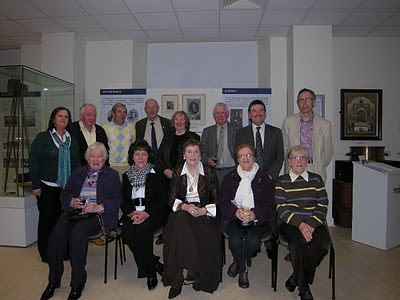 On last Friday night April 23rd our latest exhibition "Edmond Keohan (1852-1934) Photographer". Helen Moynihan Museum Society Vice-President was MC for the night and started proceedings by welcoming the museum members, guests and especially the extended Keohan family. 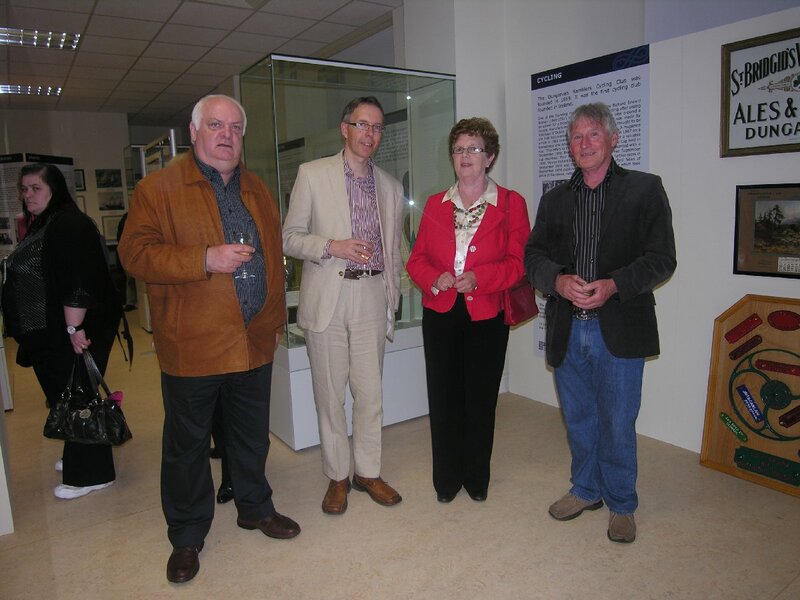 Willie Whelan then spoke of behalf of the committee and thanked the curator and staff for their work on putting the exhibition together, he also acknowledged the continued support of Fás, Waterford Leader Partnership, Dungarvan Town Council and the Heritage Council. 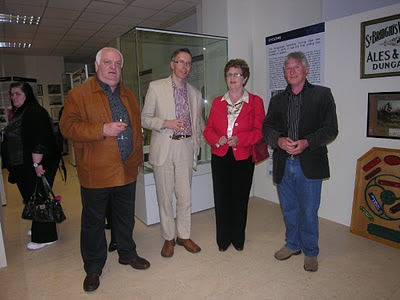 He then handed over the proceedings to Julian Walton who officially opened the exhibition. Julian told how Keohan was born in Tramore and settled in Dungarvan in his early 20's. He observed that Keohan was a real Rennaiscence man, Chairman of the Town Commissioners, an expert billiards player, member of the Dungarvan Ramblers Cycling Club, President of the Literary Society, and the Photographic Society. His most significant achievement was the publication in 1924 of the first History of Dungarvan. This will be the first time that a complete exhibition has been prepared to highlight the work of this Dungarvan based photographer. Edmond Keohan was the first full time professional photographer to record people, places and events in this area. This exhibition features original cameras owned by Keohan, publications and events. A number of photographs in this exhibition are printed from newly donated glass negative plates and have not been previously published. The exhibition is open daily 10am to 5 pm and will run through out the summer.